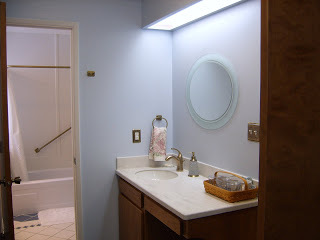 We are still whirling around after the quick, but quality work that was done in remodeling Camai Bed and Breakfast’s Rose Suite Bathroom and Dressing Room. 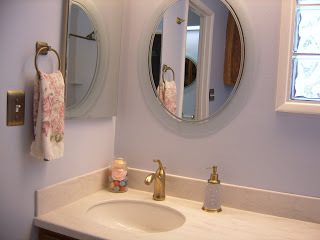 The wallpaper is down, new Corian counters, new sinks, new faucets, new mirrors, and new lights have all been installed. What a difference in appearance all of this has made. The lines are clean and everything sparkles as it should. 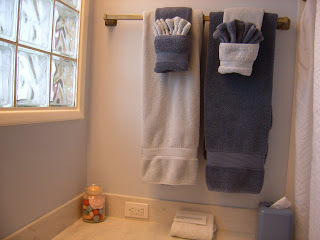 Bathroom remodeling suggestions abound on the internet. After we waved good-by to Darwin and his family the painters, plumber and electricians went to work. Everything was coordinated by the absolutely best interior decorator at Touch of Elegance and Design. Marie was awesome! It all came together the week following Darwin, et al’s departure… literally minutes before the arrival of our next guests from Australia.